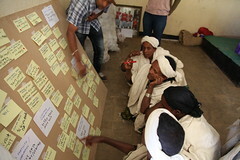 The first key message from the Nile Basin Development Challenge is to ’empower local communities and develop their leadership capacities to achieve long-term benefits and sustainable outcomes.’ Participatory design and planning on rainwater management interventions ensures key issues are addressed, the right pilot interventions are taking place and provides long term solutions with the commitment of everyone. Considering that agriculture remains a key sector in Ethiopia, commercialization of the sector necessitates improving participation of smallholder farmers in markets, hence improving their incomes and livelihoods. Promoting smallholder commercialization through cash crop production is one avenue of such efforts. The main argument for smallholder commercialization through cash crop production is that it can allow households to increase their income directly. Sesame in Ethiopia can be taken as a good example in this regard. Although Diga has a potential land and the area is among the few areas which are agro-ecologically suitable for sesame production and productivity in the country, smallholder farmers are not participating actively in its production (constrained by a number of factors). This study assesses factors determining smallholders’ participation in sesame production in Diga, West Ethiopia. Using structured questionnaires, the data was collected from a random sample of 120 smallholder farmers and analysed by using a double hurdle approach. 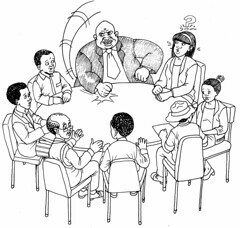 After all, this study highlighted that access to credit, farm landholding size, family labour, household assets (oxen, donkey), access to family food for the whole year and proximity to extension service centres significantly influence smallholders’ decision probability of participating in sesame production. On the other hand, access to credit, number of oxen owned and number of active family labour significantly determine the level of smallholders’ participation in sesame production. The implication is that production potential due to favourable agro-ecological condition is necessary but not sufficient for smallholder farmers to participation in sesame production. Indicating household specific and institutional factors also influence their decision. Thus, if active participation of smallholder farmer is required in the field, institutional innovations should be developed and strengthened—in a way to involve all smallholder farmers.